You are picked up from your hotel/residence in Delhi/NCR and transferred to Hazrat Nizamuddinn Railway station board Gatimaan Express Train to Agra. Train departs at 08:10 AM from New Delhi railway station. 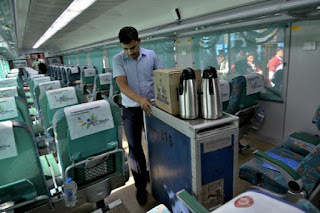 Breakfast will be served in the train, which is included. Train arrives at Agra Cantt railway station, Agra. Our compnay's representative will receive you from the railway platform itself on arrival and your guided city tour starts. You are going to visit today the Taj Mahal, Agra Fort and Fatehpur Sikri. : Grieving Mughal Emperor Shah Jahan built Taj Mahal in 16th Century in the memory of his wife Mumtaj Mahal, who died in childbirth at the age 39 years. The mausoleum got its name from her, hence called the Taj Mahal. It is a unique man made creature listed as one of the wonders of the world, made of while marble. At the time of construction, the marble had been imported from the place called Makarana near Jodhpur in Rajasthan by using animal carts. According to legends, it took 20,000 labors & artisans to complete the construction of Taj Mahal in 22 years. Their physical endeavor made it possible. Exceptional engineering work and intricate carving on the marble stone at Taj draw attention of millions of tourists from all across the globe. Taj Mahal is the UNESCO world heritage site.Taj Mahal is closed on Friday. : After the visit of Taj, We go to see the Red Fort in Agra located near by on the bank of river Yamuna. As it sounds, it is made of red sand stone, built by Mughal Emperor Akbar in 15th Century. Some portion of fort is occupied by Indian Army, no public access to this part of the fort. It is again a fine example of Mughal architecture and craftsmanship dating back to 15th Century. The emperor Shah Jahan who built Taj, was incarcerated by his own son Aurangzeb in Agra Fort. The Shaken and ill conditioned old Shah jahan spent last eight years of his life in Agra Fort. According to legends, He used to look at Taj from the window of his room at Red Fort. It is a magnificent view of Taj Mahal from Agra Fort across the river Yamuna. Aftter the sightseeing tour of Taj Mahal and Agra Fort, you will be taken to the five star hotel for Buffet Lunch. : After finishing the sightseeing tour of Taj Mahal & Agra Fort, we go to see the magnificent Fatehpur Sikri. Fatehpur Sikri is located 40 km away from Agra, popularly known as the Ghost City or Abandoned City. Mughal emperor Akabar built this city in 15th century in effort to shift his capital from Agra to new location 40 km away on Sikri ridge to honor the Sufi saint Salim Chishti. It took emperor 15 years to complete the construction of a planned walled city including a series of royal palaces, harem, courts, a mosque, private quarters and other prominent buildings. It is made of red sand stone. It is also a UNESCO world heritage site. Unfortunately, Akbar had to abandoned the city shortly after its completion, due to a dearth of water in this area and its proximity with Rajputana. Arrives back to Agra. Eexplore the city's culture by strolling down the markets/Bazars of Agra untill train departs. You can spend some quality time hanging out through the restaurants with wide range of cuisines, marble shops, carpet shops and leather items shops. 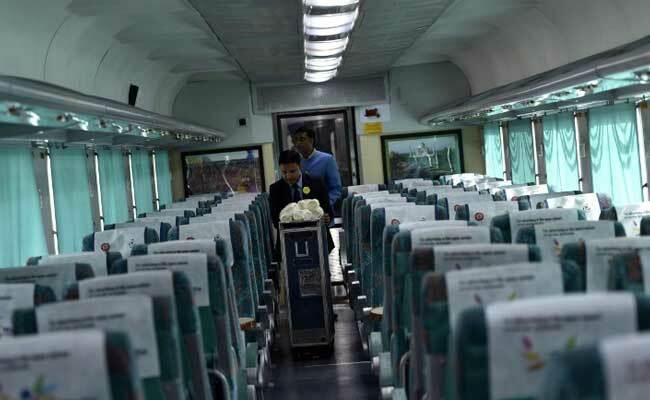 You will be dropped at Agra Cantt railway station to board Gatimaan Express train to Delhi. 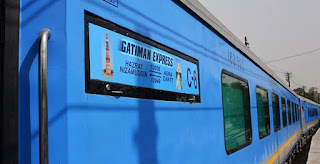 Gatimaan Express train departs from Agra. 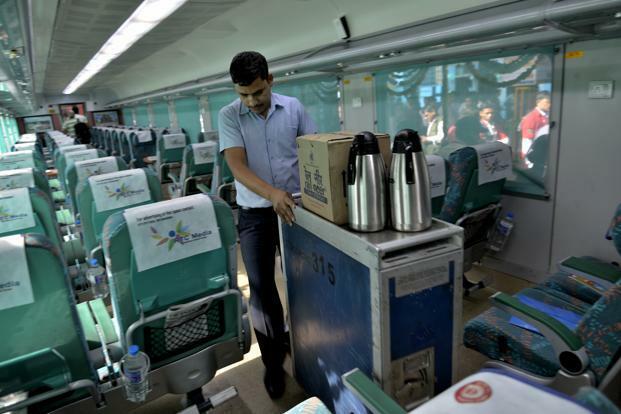 Dinner is included and will be served in the train. Train arrives at Hazrat Nizamuddinn Railway station, Delhi. Upon arrival, you will picked up from railway station and transferred to your hotel in Delhi. 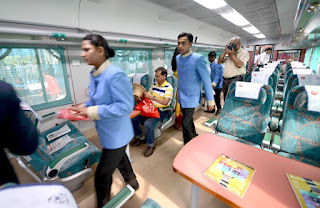 SAME DAY AGRA TOUR BY GATIMAAN EXPRESS TOUR IS AWESOME EXPERIENCE.